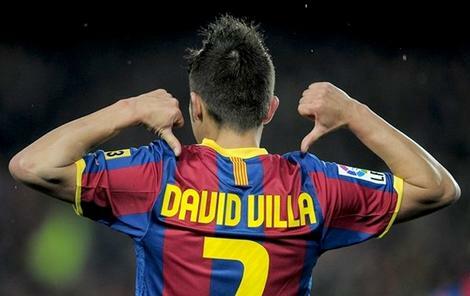 It’s something of a double-edged sword following a ‘big club’. On one hand here’s always been a weird sense of satisfaction that comes with knowing how well-supported your team is, but on the other many of your club’s ‘fans’ will never have been anywhere near your team’s stadium. Whilst no individual (Clubs + Brands) figures were given by the report, the breakdown of cash by league makers for very interesting reading. 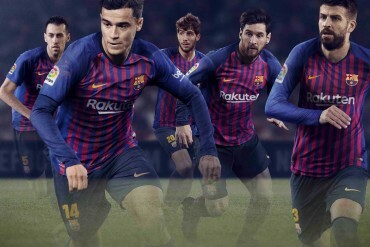 Real Madrid & Barcelona’s one-two at the top means that Spain’s Primera Division clocks an annual revenue of over 190m, with the two old enemies making up over 80% of La Liga’s merchandising revenue. Whilst 2010 was a bumper year for Spanish football, with a successful World Cup win and the likes of Mesuet Ozil and David Villa signing up to play for the ‘big two’, it’s likely the international appeal of stars like Cristiano Ronaldo and Lionel Messi are the main factor behind such a massive amount of cash being spent on football shirts. Only two English clubs make the top ten, with Liverpool’s famously fanatical support keeping the Anfield Club inside the top three. 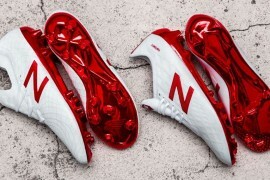 Whilst Liverpool haven’t found success in the last 18 months, they have taken huge strides forward in their merchandising tactics, even offering customised football boots with the club’s famous badge on. The Italian league of Serie A will be rocked by this report, as with the likes of AC Milan, Inter, Juventus and Roma they host some of the World’s most marketable clubs. Though, Italy also suffers from one of the worst rates of counterfeit shirt purchases – which Nike are trying to remedy in their own way. 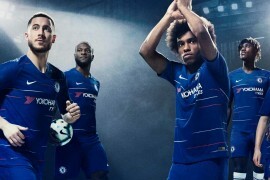 The humble football shirt is the top-selling piece of football merchandise in Europe – 13.7 million replica shirts were sold across the world in the 2009/10 season. 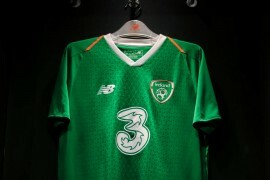 The two sports equipment giants, adidas and Nike, enjoyed a combined market share of approximately 83%, whilst the remaining 34 kit manufacturers including Umbro, Joma, Reebok and Puma across the ten leagues sold a mere 2.3 million jerseys in total (17%). 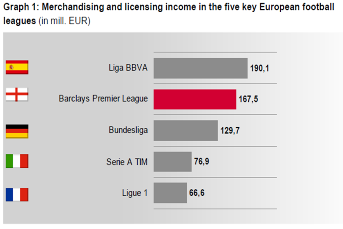 Whilst we’re talking about huge sums of money being injected into the league through merchandise like shirts, football boots, scarves, balls and even mugs – this still only amounts to an average of 7.3% of the league’s total revenue, with factors like TV Rights and Ticket Sales contributing to the other 92.3%. What do you think to the findings from this report? Any interesting trends that you think will appear over the next few years? Could Liverpool drop out new Torres has left? Will another brand challenge Nike & adidas two-horse race? 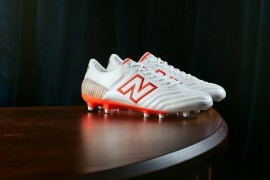 Previous articleTONY COTTEE CHATS FOOTBALL BOOTS! Just goes to show the people of Liverpool have too much benefit money and not enough things to buy! i doubt that is accurate.